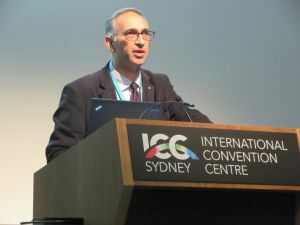 Director Abbas Rajabifard was in Sydney on the 5th of April for the 10th International Symposium on Digital Earth and Locate17. Professor Rajabifard delivered a keynote talk on ‘Building a Global Disaster Management Platform: Delivering Smart Disaster Communities’ and chaired a session on disaster management. The International Society for Digital Earth (ISDE) promote academic exchange, science and technology innovation, education, and international collaboration towards Digital Earth. They explore Digital Earth as an enabling technology to play key roles in economic and socially sustainable development, environmental protection, disaster mitigation, natural resources conservation and improvement of living standards. The Locate Conference (Locate17) is the national conference of the spatial and surveying industries of Australia and New Zealand.